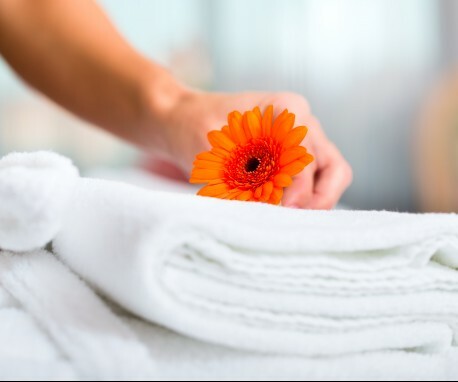 Our team embodies the idea that housekeeping is the heart of the hotel. On the most personal level, we are building and maintaining a sense of quality that can make or break a guest’s stay - a feeling that is uniquely capable of creating a hotel experience that’s truly welcoming. Quality and attention to detail, delivered not just once or twice, but consistently across tens of thousands of room nights each year. Success in housekeeping does not come through the work or experience of one or two people, but in the ability to create a consistent team mentality and shared set of values. Day in and day out, we are here to make a guest’s home away from home, and that means a clean, organized room, comfortable bed, and keeping everything functional. Most of our temp associates have been with us for two to three years or longer. If the team shares the same mindset and values, it’s easy to get into a consistent rhythm of getting things right. If you show respect, motivate each team member, hold regular meetings and initiatives - and, most importunately - remember to say thank you, the team will continue to improve with time. Of course, some things are out of our control. Our hotel began renovations in 2015 and, right now, 215 rooms are fully renovated, 105 are still partially renovated. While every guest wants a new room, it’s our responsibility to ensure the partially renovated rooms feel just as premium and contribute to the same overall hotel experience. A lot of that just comes down to knowing each guest. Remembering preferences, anniversaries and birthdays – and reflecting that in how we prepare each room. Knowing the community, if a guest’s family has been coming for generations, making sure we’re reflecting that history and knowledge in how we prepare their room and engage more broadly. Each hotel will encounter changes and unexpected challenges. As we manage through the renovation, I believe: 75% of a hotel experience is service, 25% is property quality. As long as we’re provide that service level from the driveway, to check-in, to room, to restaurant - everything else can be overcome.